Help Us Identify This Artist! About 18 months ago, we received these images from a reader which he believes he took in 2003. 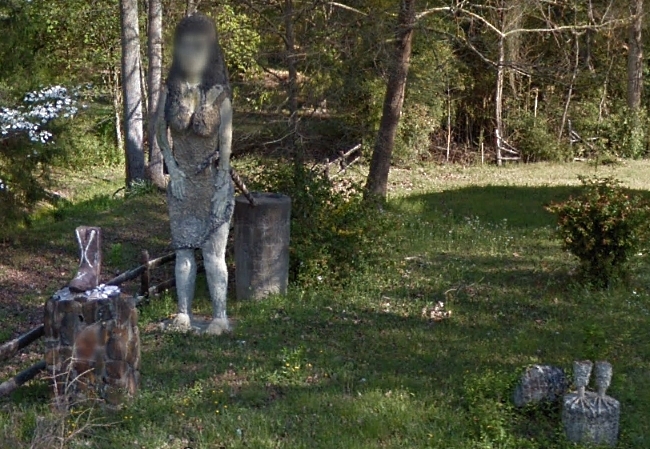 With his help, in December of 2017 we were able to visit the site where they once stood, but discovered these statues were no longer there. 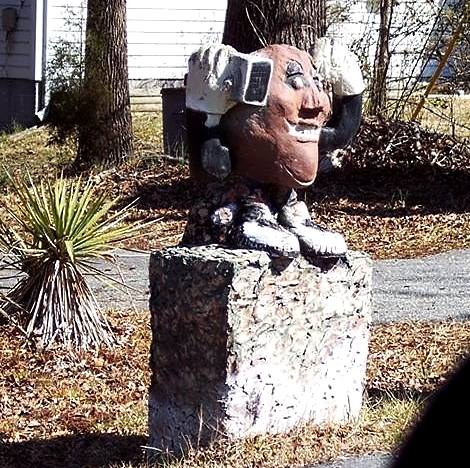 We asked the current homeowners if they knew anything about the statue, but unfortunately, they did not understand English. 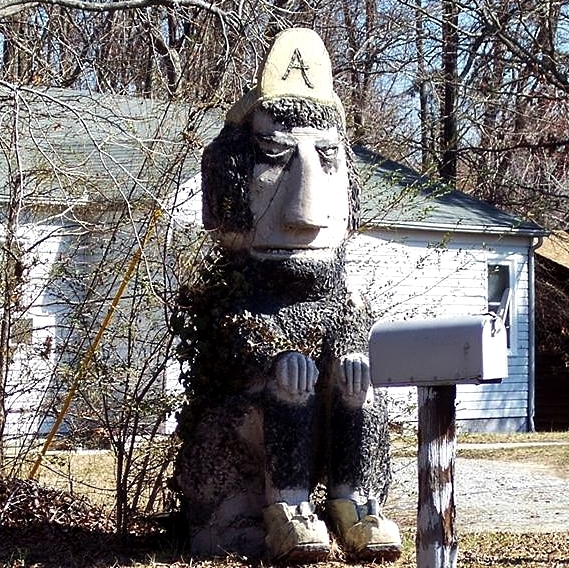 We have Googled and Binged and asked around, but we have no idea who created these statues and would love to put a name to them so we could possibly research them further. If you don't know who created these but would still like to help, please share these photos with our message attached. 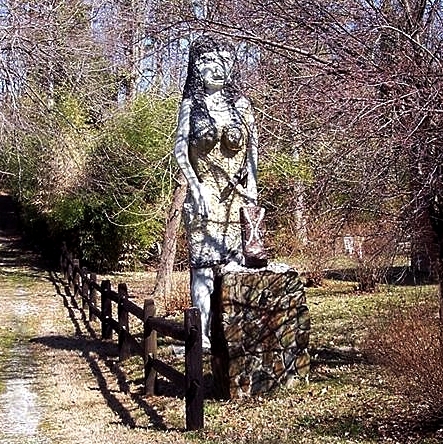 *The statues could be found at 231 Stratford Road in Archdale, NC, right outside High Point. *As of April 2017, all four statues except for the California Raisin were still around and you can currently view them on Google Maps, although the first one with a giant A on his hat looked to be in much worse condition in 2017 than it did in 2003. 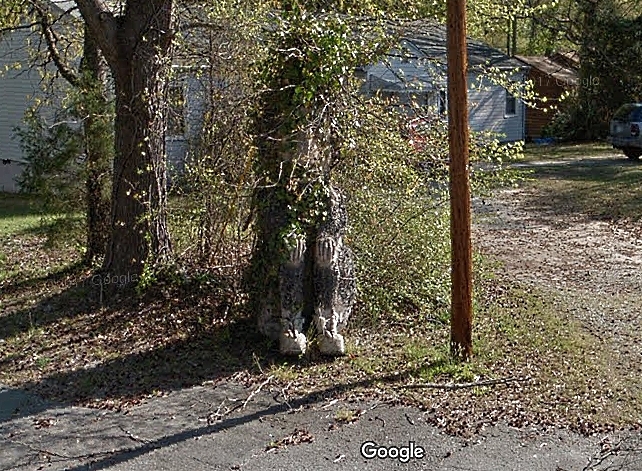 *If you look at the aerial view on Google Maps, it looks like there may have been more statues in the backyard. That's it. Not much to go on. 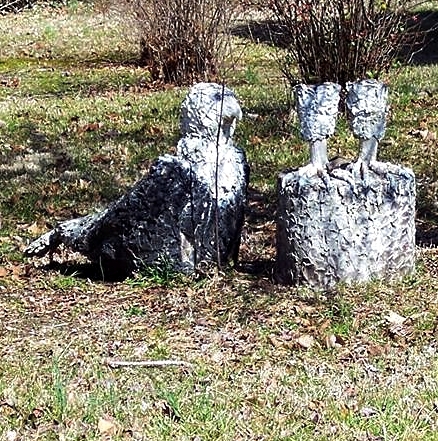 But if you have any information on who may have created these statues, please email us at StrangeCarolinas@gmail.com or text/call us at 336.907.2393. Thanks so much! Thanks to the help of @Laurielaurie79 on Instagram and Amanda Taylor on Facebook, we now know the artist's name was Billy Gray Burton, who died in 2010 at the age of 86. His obituary mentions that he wrote several children's books and "enjoyed whittling boots and guns out of wood so much that President Reagan and John Wayne received one." No mention of the statues, though.